Type 2 Diabetes is has become a disease epidemic in America. Both children and adults can prevent this disease onset by managing their weight and proper nutrition. There are millions of people in this country who are walking around unaware that they have diabetes. I often hear from clients that they did not feel any symptoms when they were first diagnosed so they did not take it seriously and were not compliant to the diabetic diet their doctor recommended to them. If you have been diagnosed with diabetes and feel “fine” you will have a better quality of life down the road if you make some healthy habit changes NOW. Don’t worry, you can still enjoy your favorite foods and your quality of life will not go down, just focus on making small changes. Controlling your diabetes through diet and exercise is optimal. 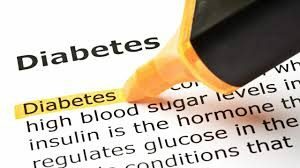 A common goal of most of my diabetic clients is to get off diabetes medication while avoiding further complications such as neuropathy, blindness, amputation, or becoming insulin dependent. Exercise for 30 minutes most days of the week, studies show that exercise helps stabilize blood sugars. Some experts even suggest that on the days you exercise you do not have diabetes. I would not go that far, but to say the least exercise is VERY important when it comes to diabetes. Aim to lose 7% of your body weight, several studies have proven that weight loss contributes to stable blood sugars. For a 275 lb. adult male this means lose 20 pounds or for 170 lb. female they should lose 12 pounds. Focus on fiber and lean protein. Fiber helps slowdown the absorption of carbohydrates that leads to stable blood sugars and helps one avoid high blood sugar readings. Aim to eat a minimum of 25 grams of fiber per day; the best fiber sources include most fruits, vegetables and beans. Protein also helps slow down the absorption of carbohydrates and should be included in most meals or snacks. Instead of having pasta with marinara sauce have ground turkey or beef with marinara sauce over a steamed vegetables. Rather than having a piece of fruit as a snack have it with a scoop of protein and unsweet almond milk in a shake or 1-2 Tbs. all natural almond butter with your fruit. The extra protein will keep you feeling full for a longer period of time thus avoiding overeating later in the day. Artificial Sweeteners linked to promoting type 2 Diabetes. A recent study has suggested that the consumption of artificial sweeteners saccharin, aspartame, and sucralose may promote Type 2 Diabetes. Researchers in Israel conducted the study with 20 mice, for The Journal Nature. The mice were given artificial sweeteners in their water and it resulted in remarkably higher blood sugar levels than those mice that received plain water and actual sugar water, indicating the impairment of handling the sugar dose. A significant outcome of the study suggests that the consumption of the sweeteners changes the composition of normal beneficial bacteria in the gut. When there is an imbalance of gut bacteria the body is less able to efficiently process sugar resulting in glucose intolerance and over time this can lead to Type 2 Diabetes. Several experts have concluded that the study did not provide enough data to make a definitive conclusion about artificial sweeteners, but there is a need for further research. From my personal experience working with hundreds of clients, I have concluded that most of my clients who are looking to gain control of their weight and health benefit tremendously from eliminating artificial sweeteners. Anything that is made from chemical compounds will have a negative effect on the metabolism. As soon as the tongue taste something sweet our brains recognize it as sugar, even if it does not have calories and then the pancreas secretes insulin to help process the “sugar.” A spike and reduction in insulin, even from zero calorie sweeteners will still cause us to crave energy to bring levels back up or to stabilize. This roller coaster ride will lead us to cravings for something starchy or sweet ultimately resulting in weight gain; poor blood glucose control and type 2 Diabetes. The harmful effects of artificial sweeteners on the gut bacteria balance revealed in this study are alarming. Our gut is the dashboard for our entire immune system; this could be linked to additional research that suggests artificial sweeteners put us at higher risk for cancer. If healthy bacteria composition is being altered by artificial sweeteners, it can cause many metabolic issues like poor digestion, nutrient deficiencies, yeast build up, irritable bowel syndrome, eczema, asthma, certain cancers, to name a few. The opiate receptors are also stimulated when the body is in this type of inflammatory state. When we have a gut that has more harmful bacteria, it is in a state of constant inflammation. This results in excessive sugar cravings and poor hormone control including the hormone insulin. It is easy to understand why those who have a diet soda addiction, consuming multiple servings daily, will suffer from gut issues that eventually put them at risk for insulin resistance associated with a Type 2 Diabetes diagnosis. Stevia is a natural non calorie sweetener, made from the stevia leaf, it has not been shown to have the same effects of saccharin, aspartame or sucralose. I still would not suggest excessive consumption of any non calorie sweeteners, 1-2 packets daily is the moderate amount recommended. Using stevia is especially beneficial if you are looking to replace consumption of artificial sweeteners in your tea or coffee daily. Sometimes eliminating the artificial sweeteners will cause you to suffer from headaches for a few days, it is your body withdrawing from the addiction developed overtime. This detoxification period will not be more then 3-4 days. Those who weaned off of artificial sweeteners have reported a noticeable improvement in skin, some experience weight loss and most significantly some have reported a reduction in joint and muscle pain. Reducing and eventually eliminating artificial sweeteners is a great way to improve and gain control of your health status. OPIATE RECEPTORS and Diabetic Impact. Research on mice has shown that their body reacts to sugar through opiate receptor binding. The opiate receptors react to sugar just like it does to addicting substances like both drugs and alcohol, which also increase the opiate receptor binding activity. Those who are regularly exposed to sugar tend to consume 30% more calories daily then those who eat a balanced diet that is not particularly high in sugar, this is measured specifically through opiate receptor binding. Food sources of sugar are not limited to candy and desserts, simple carbohydrates like white breads, crackers, pastas, rice, and white potatoes are all fast acting carbohydrates that metabolize in the body similarly to sugary candies and desserts. Aim for more complex carbohydrate sources like quinoa, steel cut oats, sweet potatoes, wild or long cooking brown rice, sprouted grain breads, beans, flax seed, to name a few. Due to the higher fiber content of these complex carbohydrates the body breaks them down more slowly, resulting in more steady insulin levels and decreased cravings and opiate response. By not stimulating the opiate receptors, withdrawal is easier and the success rate is higher. Keeping this strategy also lowers the chance of the addiction reoccurring. We typically mistake thirst for hunger resulting in the consumption of unnecessary calories. This can be prevented by drinking at least half of the body weight in ounces of plain water per day. 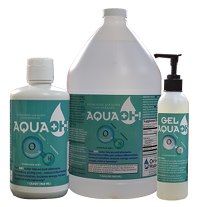 Hydroxide rich water such as, Aqua OH! 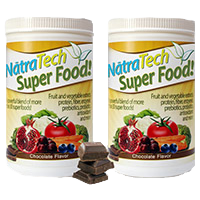 is the best option due to its ability to combat acidosis and inflammation. Inflammation can cause the body to poorly metabolize insulin and acidosis eventually resulting in insulin resistance and Type 2 Diabetes. Consume water between meals and try to keep a glass or stainless container of water with you in the car, at your desk, etc. Physical and emotional stress will eventually take a major toll on your metabolism and overall health. When the body is put into a frequent state of “fight or flight” due to stress cortisol is produced. Cortisol in itself is not a bad hormone but if it is chronically produced it can strain the adrenal glands and deplete helpful anti aging hormones. Excessive cortisol at first will result in poor sleep, weight gain around the mid section and chronic inflammation. Over time chronic disease such as insulin resistant Type 2 Diabetes, heart disease, high blood pressure, thyroid Hashimotos disease and/or adrenal fatigue will develop. This can be managed by making major lifestyle modifications such as a low sugar, healthy plant rich diet that includes quality foods, protein and healthy fats. Regular exercise will also help balance out hormone levels. Diabetes can be managed with lifestyle and behavior modifications including a high quality whole food nutrition plan and regular exercise and stress relief activities. Remaining educated about the disease and putting efforts into healthy cooking can make all of the difference. Saturated Fats. American Heart Association. 2014. Retrieved March 2014.